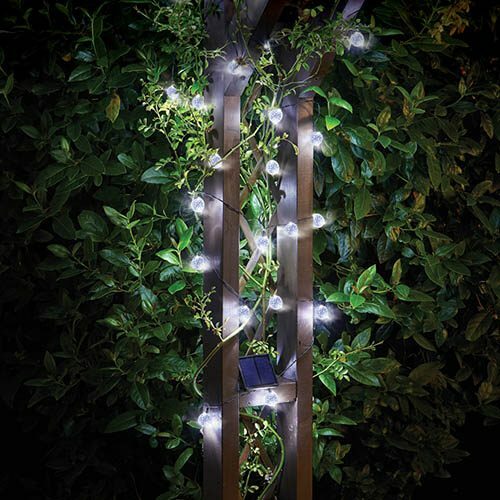 These fabulously classy orb lights are an ideal solution for bringing your shrubs, bushes, fences or pergolas to life at night. They can run for up to 6hrs so plenty of time to enjoy whilst you relax in your garden of an evening. They are so versatile and easy to place, all you then need to do is ensure that the solar panel has good access to sunlight during the day. Enjoy!